(Jan. 25, 2012) -- City leaders will gather with scholars and students at the UTSA Downtown Campus on Thursday, Jan. 26 to discuss the highly successful peace education program founded by Prem Rawat and in place at San Antonio's Dominguez State Jail. Free and open to the public, the forum, "Peace on the Inside," will be 10:30 a.m.-12:30 p.m., Thursday, Jan. 26 in the Buena Vista Theater on the UTSA Downtown Campus, 501 César E. Chávez Blvd., San Antonio, Texas, 78207. Francine Romero, associate dean of the UTSA College of Public Policy, will provide opening remark. Guest speakers include Rawat and UTSA scholars. Rawat founded the Peace Education program in 2007 to help inmates develop positive life skills and self-esteem by finding personal peace. Inmates meet twice each week at the jail to focus on a series of modules with short video clips that address themes such as hope, inner strength, compassion, kindness and self-worth. The program, which operates at 25 prisons in 10 countries, has been offered at the Dominguez unit since 2007. During that time, it has reached more than 1,000 men. "The Prem Rawat Foundation's Inner Peace program has only one agenda -- to help incarcerated people find an inner personal peace that allows them to understand themselves, drop their defensive tough-guy masks and reach a point where they are okay with the genuine person inside who has feelings, emotions and fears," said Michael Gilbert, UTSA associate professor of criminal justice. "It is through this process of introspection that they begin to understand what they want from their lives and what they have to do rebuild their lives and repair relationships. "The constructive changes in behavior among participants have been noticed by the warden, chief of security and others in our local Dominguez prison, and to their knowledge, only three or four participants have returned to confinement. Something very constructive appears to be happening, and the Texas Department of Criminal Justice has taken notice." The UTSA "Peace on the Inside" forum is sponsored by the UTSA College of Public Policy Office of Community and Restorative Justice, UTSA Department of Criminal Justice and The Prem Rawat Foundation. 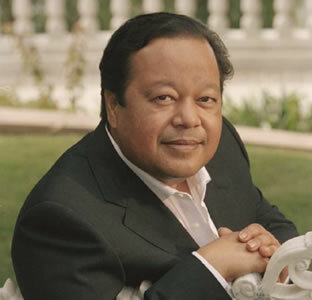 Inspired by Prem Rawat's vision that peace is a fundamental need for all people, The Prem Rawat Foundation delivers a message of peace to people throughout the world. The foundation strives to address the fundamental human needs of food, water and peace so that people can live with dignity, peace and prosperity. The organization helps to make Rawat's message of peace widely available by sponsoring some of his addresses and developing peace education programs.